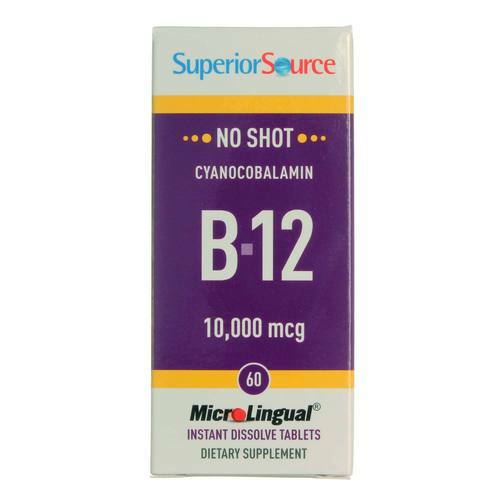 Get your nutrients without a doctor's visit with No Shot B-12 by Superior Source. Warnings: Keep out of reach of child. Notes: Tablet color may naturally vary from a light pink to red. Potency is not affected by this natural variation. 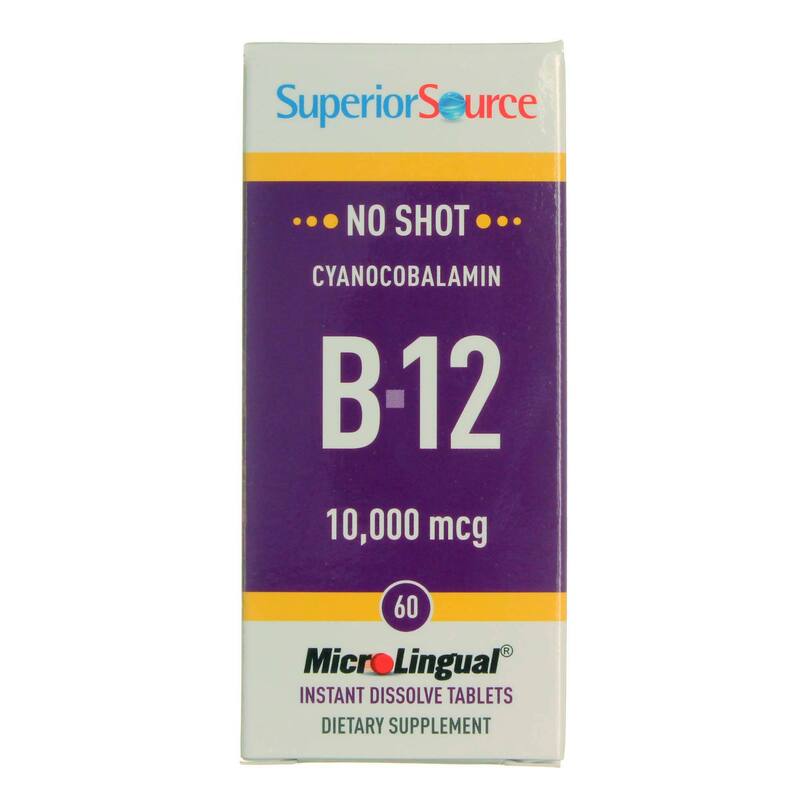 The customer reviews posted below are based on individual consumer experiences and may NOT necessarily represent what expected results will be from using or taking Superior Source No Shot B12 Cyanocobalamin - 10,000 mcg - 60 Tablets. These results may not be typical and you should not necessarily expect to receive the same results. Actual results may vary. 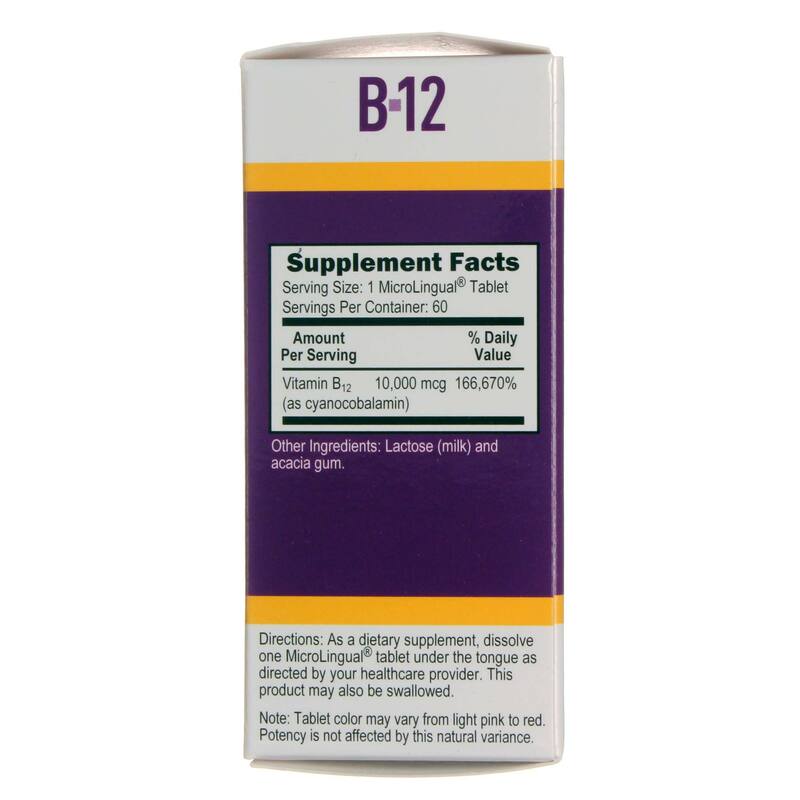 This B12 is an excellent product! My doctor put me on 10,000 mcg of B12 in October 2012. I could not find this high of dosage at regular pharmacies. 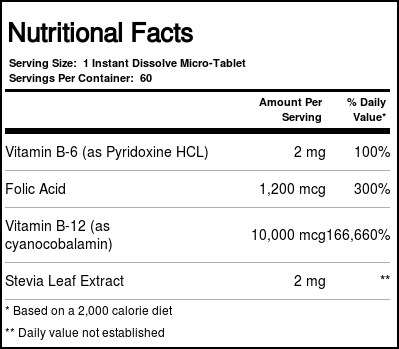 My B-12 blood counts have returned to almost normal since I started taking this product. 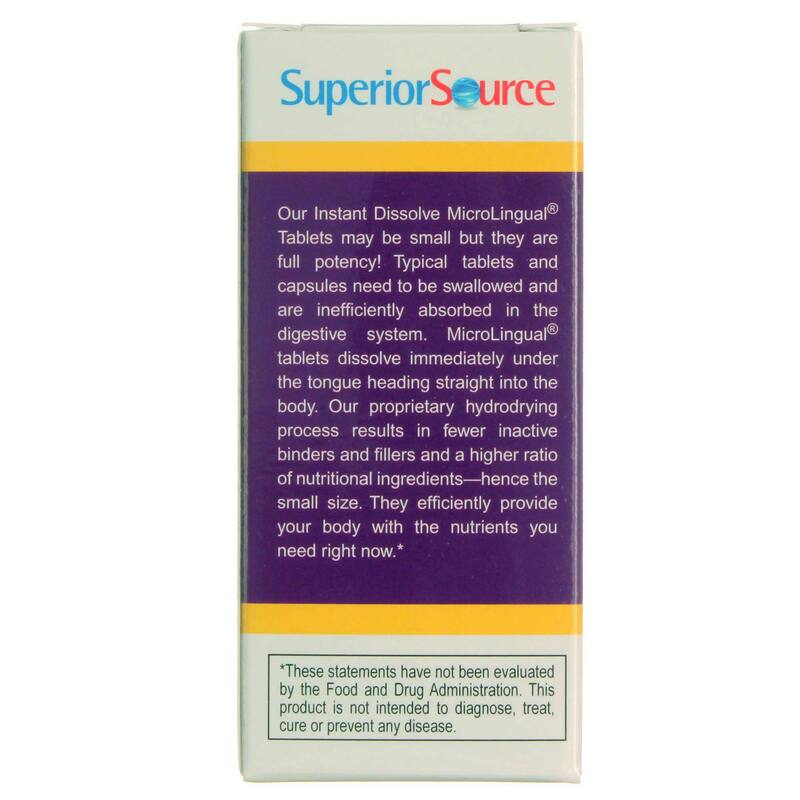 It is easy to use, dissolves quickly in your mouth, good taste, and has given me energy that I did not have before. My nails have started growing and the ridges are almost gone, and my hair is falling out less. Wonderful. I felt better than I HAVE IN YEARS. I ordered this item, because I find it to be a good solution to make a unique gift. This way somebody close to me is able to say everyday: "I have so much more energy!" 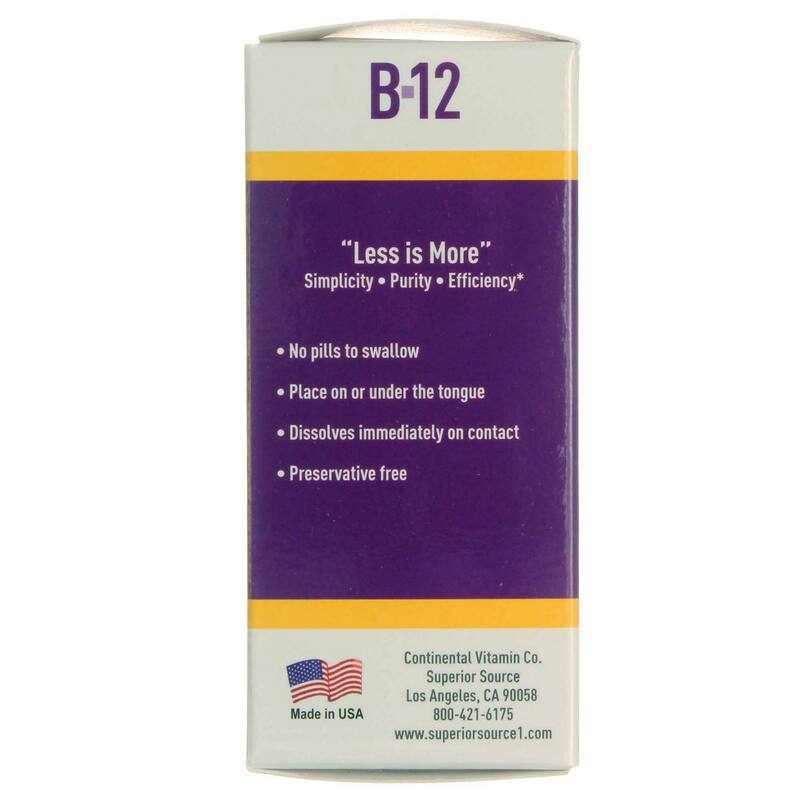 One may get much added vitality taking No Shot Extra Strength B-12 10,000 mcg by Superior Source.